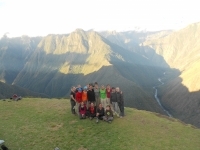 The Inca Trail adventure was one of the greatest experiences of my life. Although challenging, every day was incredible fun. The tour guides were phenomenal, allowing each of us to go at our pace and truly allowing us to enjoy and soak up the experience. 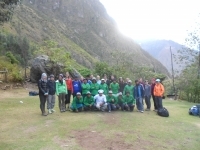 I have just completed the Inca Trail 4 days and 3 nights with Victor as our guide. I can honestly say this is one of the best things I have ever done in my life, from day one Victor has given us the information and motivation we need to complete each day. Day one started off very rough, but slowly got better as the trek progressed. Carlos, my tour guide, was the absolute best. 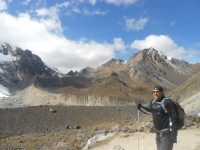 He was a gentle, funny, yet very active man who encourages all of us throughout the trek. It was a very exciting adventure that I would highly recommend. The tour guide, the food, the scenic beauty all combined to form a very memorable experience. It tested my endurance and surpassed my expectations. 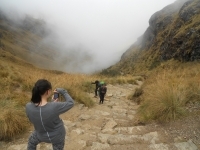 My overall experience of the 3-night, 4-day Inca Trail to Machu Picchu was amazing. 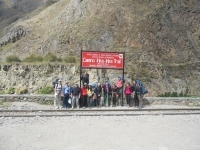 We had a great group of trekkers, knowledgeable guides, hard working porters and a great cook = a recipe for success ! 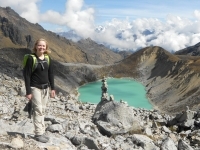 Although I've been excited for this trek for a long time, I was very scared! 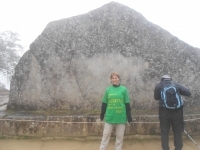 Gerson and William helped us to stay motivated and know that we could do it! The hike was very hard, but rewarding. 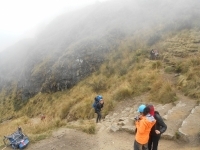 As we started off this grand adventure with Inca Trail Reservations, I was scared to death of the 42 km that lie ahead! 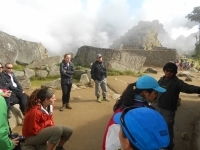 However, right from the start our tour guides Gerson and William helped the group feel pumped up for the four day hike to Machu Picchu ! A very nice, special trip with nice people. 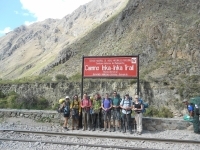 With little sleep and a lot of walking up and down, awesome views, interesting history and good Peruvian food. All well worth it, despite the muscle pain afterwords! Eine kleine katze ging mit ihren zwei katzenfreundinnen auf grosse wanderung. Leider haben zwei kleine caczen schlechte milch geschlabbert, deswegen ging es ihnen nicht so gut. Die tour hat sich aber gut um sie gekuemmert und fuer die eine cacze sogar ganz besondere milch besorgt -> alle drei haben es geschafft. 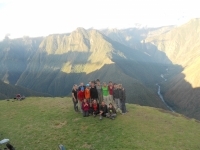 Die trekkingtour war super. Das essen (sowohl frühstück als auch lunch teatime und dinner) hat sehr gut geschmeckt und war sehr abwechslungsreich. Die landschaft und die ecological sides waren sehr interessant und informativ und die gruppe war sehr nett. We started in Km 82, went up 3 mountains, passed by a mule, lamas, went through clouds, all this in 4 days. 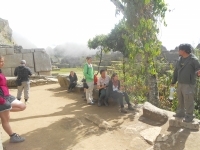 Saw the beautiful archaeological sites, trees, orchids, flowers, etc. Amazing experience, great staff, and also props, to the cook who made us a cake in the middle of nowhere on the trail. Es un viaje único que lo recomiendo a toda persona que este dispuesta a tener una experiencia física y mental.